On your mark… Get set… Boom!! The gun goes off. Eight riders all bunched together jockeying for position out of the starting gate. They are peddling with everything they have in their body to win the first place trophy. Looking like “Robo Cops”, riding in their protective gear, they head for the first berm. Parents are screaming and ringing cowbells to motivate the kids to peddle faster. “Go Ryan go”, a parent screams. Out of the first turn my brother, Greg, is in second place positioned perfectly for the finish. Coming out of the second turn they go over some woopty doos that then go into a succession of three large jumps. Heading out of the final turn my brother digs in deep and peddles his way to a full bicycle tire victory. My older brother, Greg, is someone who has always worked hard for everything he has. By the age of 13, Greg saved up his money to buy a BMX bike that he had desperately wanted to buy. This wasn’t your average bike either. It was a P.K. Ripper, one of the best BMX bikes on the market. This bike was hand welded and constructed out of titanium, a lighter frame, for racing purposes. Every detail was considered when he purchased the Ripper because he wanted superior results on the BMX track. Going to work with our Dad, on Saturdays and during the summer months was more than common for us growing up. It was how Greg was able to save the $800 he needed to purchase the Ripper. Now mind you, he purchased this bike in 1980. $800 was a ton of money for a 13-year-old at that time. It still is a lot of money today. When it came time to purchase the bike my parents asked him, more than once, if he really wanted to spend this much on a bike. Greg had no hesitation when it came time to plunking down the money. The P.K. Ripper was a must have. I was only four-years-old at the time, but by the time I was six I started to take notice of all the work Greg put into maintaining this bike. He took apart the P.K. Ripper and stripped it down about once a week to the frame. There were WD-40 cans, tools, and grease all laid out on the garage floor so he could do the servicing the bike needed to perform at optimal levels. He was meticulous when it came to taking care of his baby. All this work was done to have the bike ready for the BMX races each weekend. Without his work and dedication, he wouldn’t have won all the first place trophy’s he did. This brings me to something I have been thinking about. Have you ever noticed the difference in appreciation you have for something that has been given to you as opposed to something you have worked for? The difference can be drastic. By the time my brother turned 17, he really had no use for the P.K. Ripper. Driving to school and hanging out with friends replaced the hours of time he dedicated to maintaining the bike. And our brother Jay, he was 15 at the time so he was following around his older brother trying to be cool. Being that I was 8 at the time, without a bike of my own, he decided to let me use it for cruising around. I road this bike anywhere and everywhere. I didn’t race it like him so I used the Ripper more as a getting around to my friends’ houses bike. After three years of me using the Ripper you could start to see the wear and tear on this once pristine bike. I never took the bike apart to service it. I don’t think I even oiled the chain. The three piece shamono cranks, that were the best you could buy, started to strip making an awful sound when I peddled from a starting position. The grips were ripped and tethered. All and all, the bike was a distant memory of its former greatness by the time I was done with it. See… I didn’t put in the hours of work to purchase this bike. I was given the bike with no effort put forth on my part. You can say it was a character flaw on my part, not to care for the bike, but I was only 8. Which in hindsight isn’t an excuse but I will use it in this case to make myself look better. LOL! By the time I was done with the bike, at the age of 15, it was in a sad state compared to what it once was. I had neglected to give the bike the love that my brother once gave it. However, I learned a valuable lesson from my brother when I was done with the bike. My brother sat me down and said, “remember that hard work is what gives you appreciation. You have worked hard to achieve many things that you appreciate. From here on out be sure to appreciate everything anyone gives you. Because appreciating what someone gives you will make you better.” This statement pretty much stopped me in my tracks. He was right. If you study any of the great entrepreneurs in the world today, you will notice a recurring theme. Their work ethic and appreciation for the work they put into their life’s passion is mesmerizing. They truly put their blood, sweat, and tears into their companies. But they also appreciate help from outside investors. Just watch an episode of Shark Tank, all these innovators rely on the capital the Shark’s invest in them. I know this better than most because I interview entrepreneurs on my Podcast every week. And it is true, they work endless hours to make their dream of running successful businesses come true. I recently interviewed Robb Zbierski, the founder of Beers For Gears on The Arlington-Prospect Advice Givers® Podcast. If only I had Robb in my neighborhood growing up to service, the P.K. Ripper. I may not have been able to trade him beer for servicing the Ripper, being that I was only 10 and so was he, but maybe some baseball cards would have been good enough to keep the bike in tip top shape. If you have a bike that needs a tune up, servicing, or pretty much anything maintenance related call Robb or go to his website. Then offer him some good beer and a little bit of cash, and your bike will be running like my brother had the P.K. Ripper running. Robb’s passion is working on bikes. So he figured out a way to do, what he calls his “Side Hustle” by opening Beers For Gears. Tune into episode 77 of the Podcast. Robb is not only a cool guy, he is someone you will find really interesting. If winning the first place BMX trophy or providing the best service for a client is something you strive for you must be willing to put in the work. When we watch a game, a race, or doctor on TV performing at the highest level, we don’t get to see the hours of work and preparation they put in to mastering their craft. The commitment to achieve the results they do is a testament to their character. Greg spent hours and hours, each week, preparing his bike for the next race each week. Would he have had the results he did without the preparation, probably not. In my real estate business this holds true when selling your home. You achieve superior results by putting in the necessary work and preparation to a house to achieve the highest profit possible. Not just relying on what a neighbor sold their home for, that is a less sophisticated price driven approach. 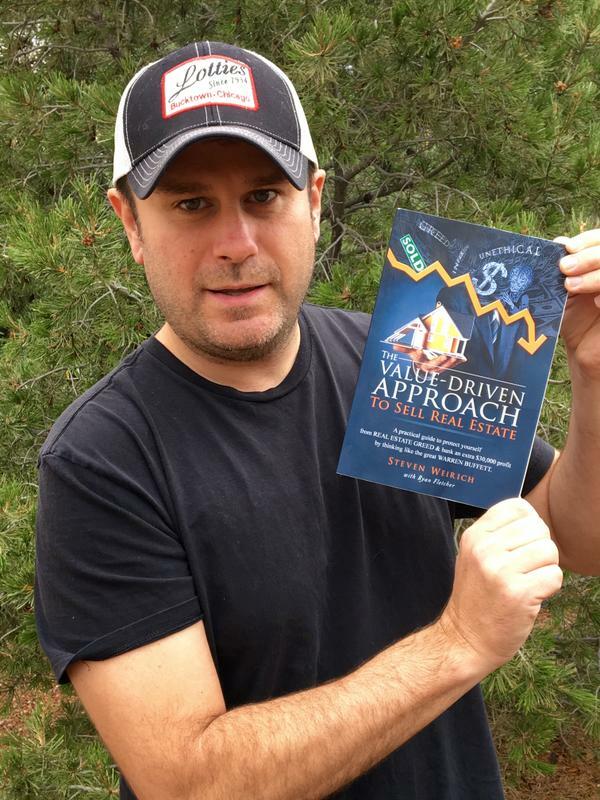 My Value Driven Approach is a way for the home seller to manipulate the value of their investment. This is why my real estate clients go through an extensive diagnosis when selling their homes. From interior design consultations, contractor consultations, pre-home inspections, and professional photography. It’s why we (as a team) maximize the profits for our clients. So remember, to win the first place trophy, you must put in the work to achieve the desired result. Also, if something is given to you, make it better with your own personal touch. Appreciate it. And most importantly be thankful for it. Tomorrow is Thanksgiving, I am thankful for having the best big brother in the world. He has taught me many lessons over the years. If it weren’t for him, I wouldn’t have the work ethic and success I have today. But most importantly the lost of our brother, Jay, in a tragic car accident 19 years ago, has taught us to be thankful for the most precious gift… Life.